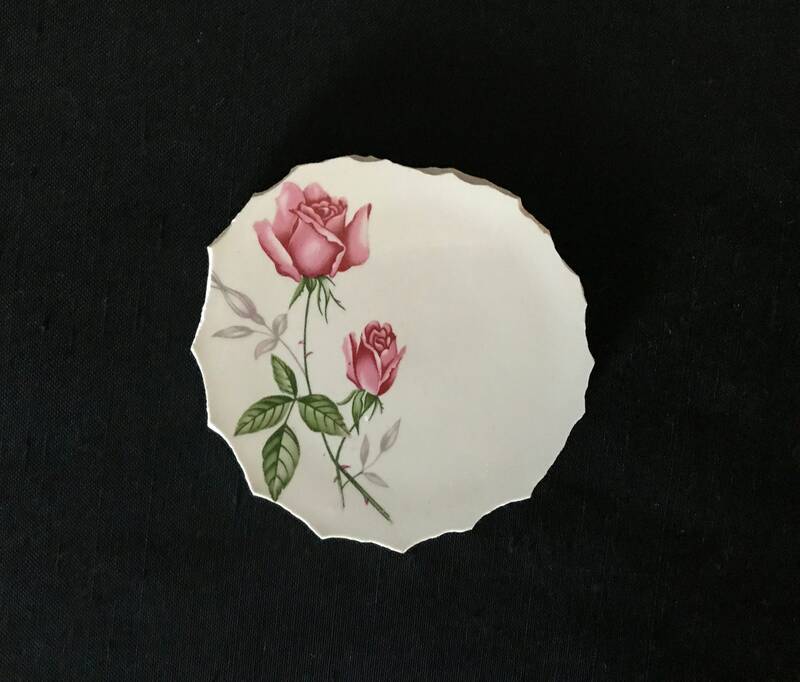 Pretty rose focal hand cut from a plate. Perfect centerpiece for your next mosaic masterpiece. NO crazing on this nice, clean piece. There is a slight rim on the underneath of the tile from the center of the bowl, but it will lie flat.